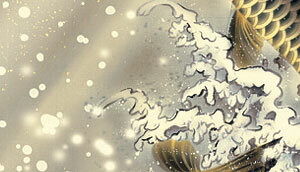 The original picture of this one is drawn by Moriyama Kangetsu. 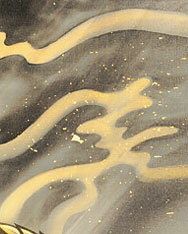 It is a reproduction of his works by a giclee which is a one of a great technique for making the real picture. 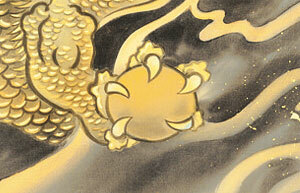 The frame is made from Rakusai Donsu. 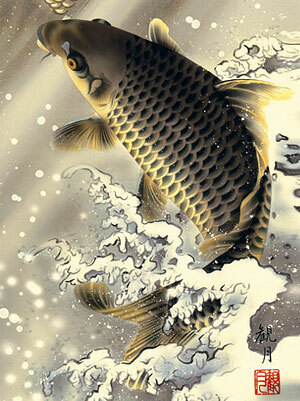 This natural blue gray frame is bringing out the gold dragon and black carp. 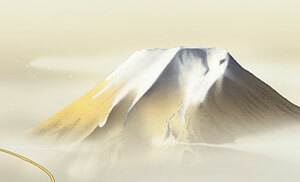 The gold Mt.Fuji means a fortune. 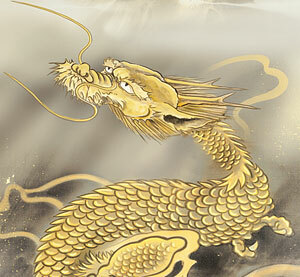 Gold clouds means giving an eternal youth that is appearing with the dragon.